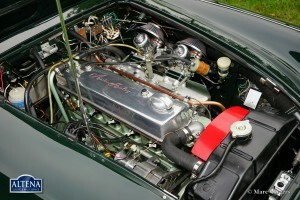 Capacity:132 bhp. at 4750 tpm. 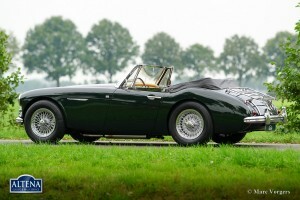 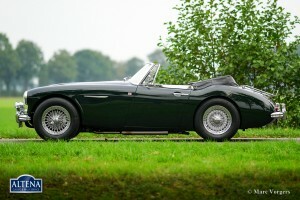 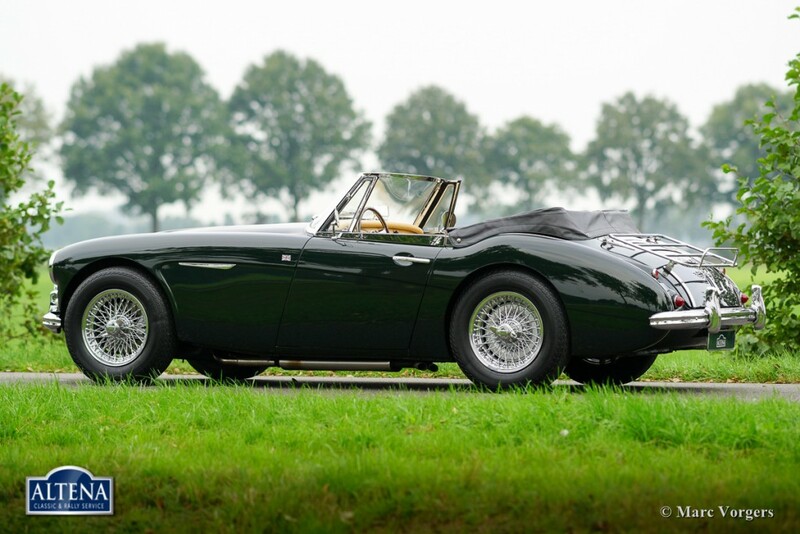 Austin Healey 3000 Mk IIa, year 1962. Colour dark British Racing Green with a beige leather interior and beige carpet. 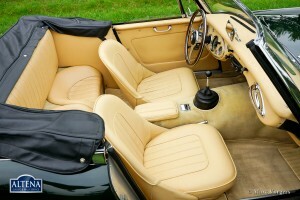 Black additional floor mats. 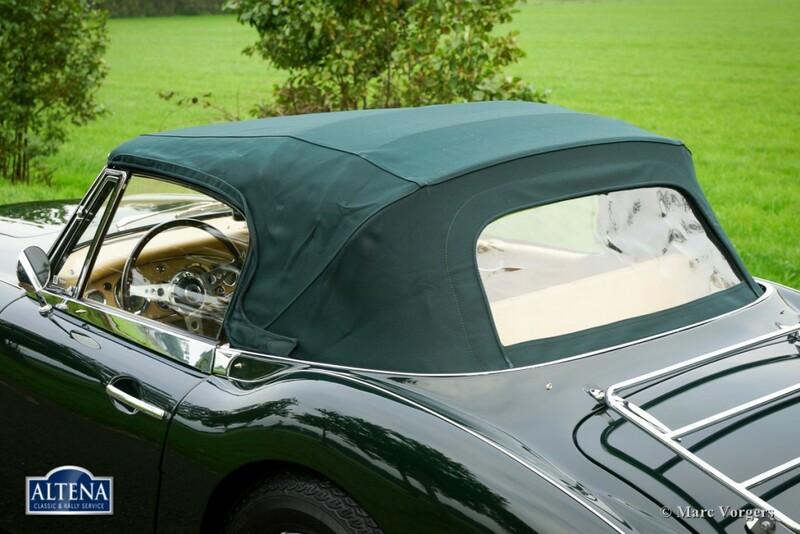 Green mohair hood and tonneau cover, black vinyl hood cover. 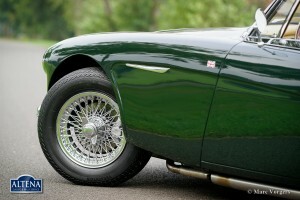 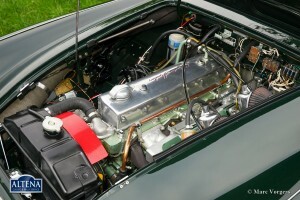 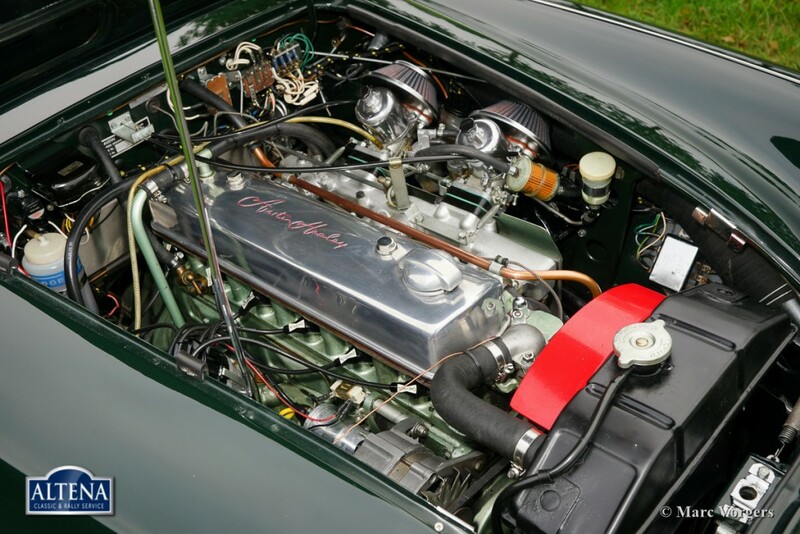 This ‘Big Healey’ is in excellent condition and the car drives perfectly. 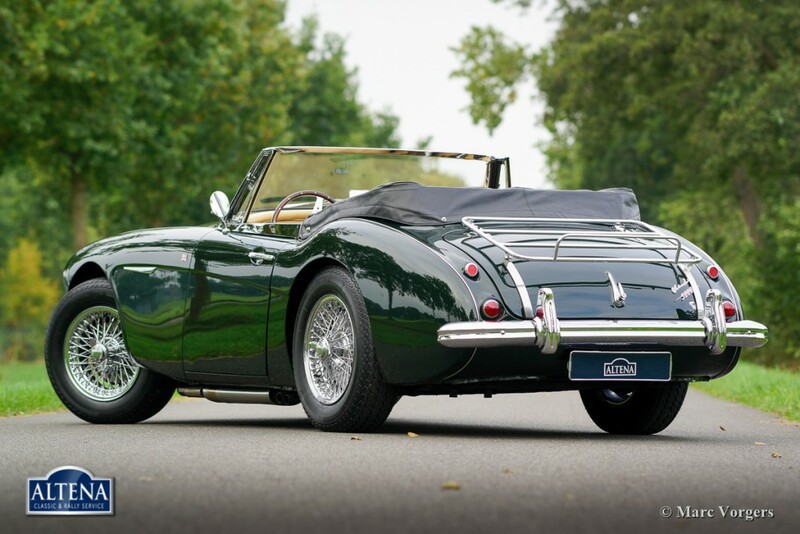 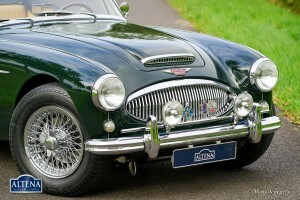 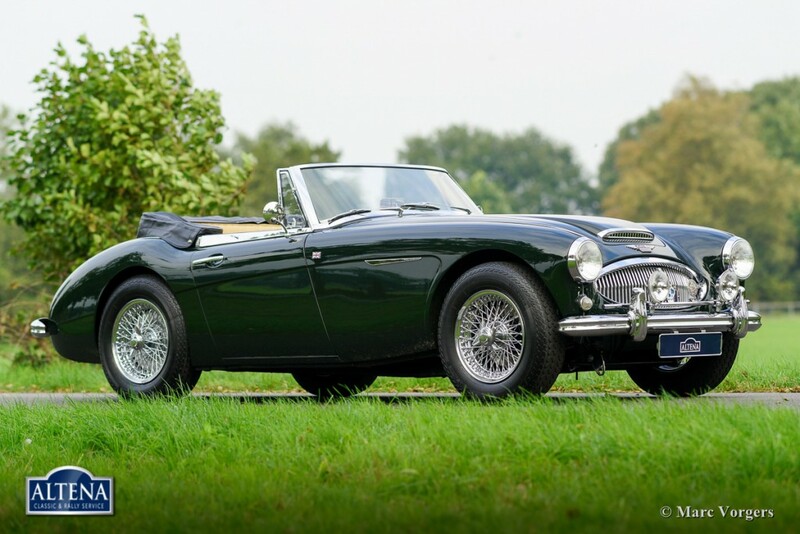 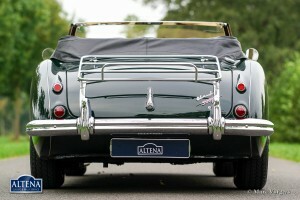 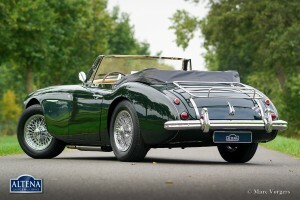 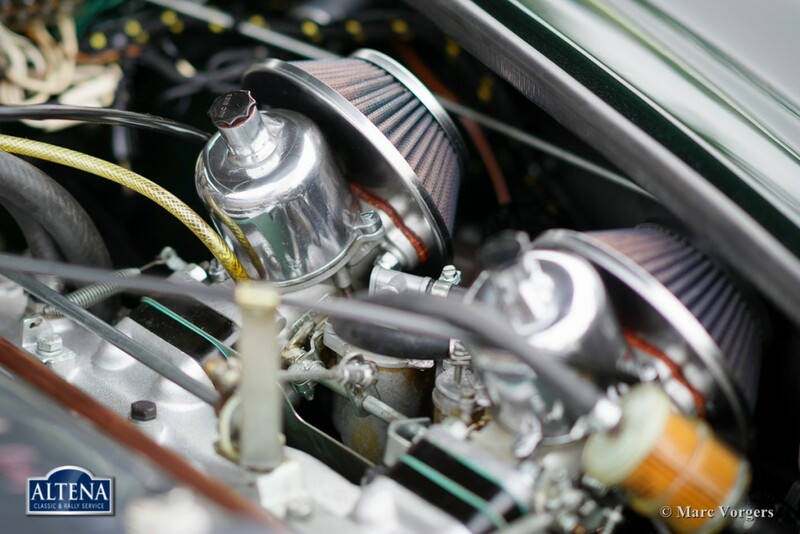 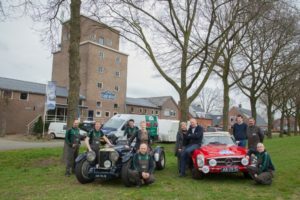 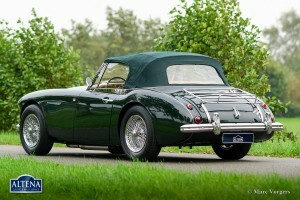 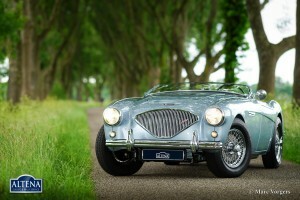 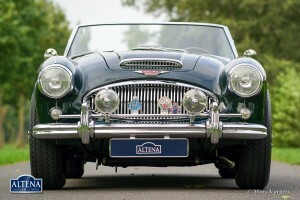 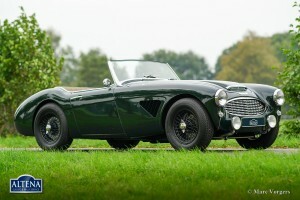 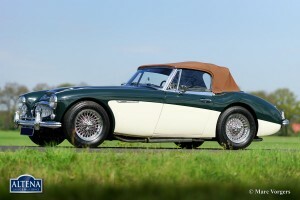 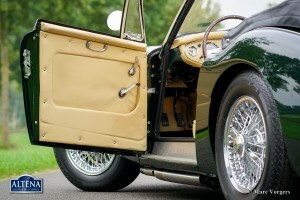 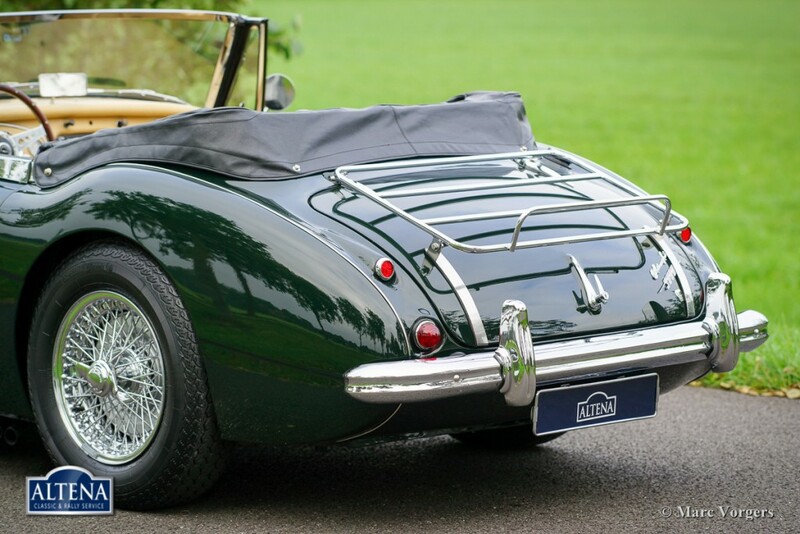 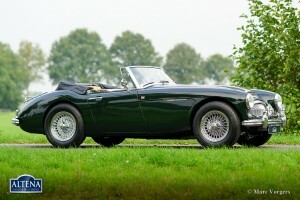 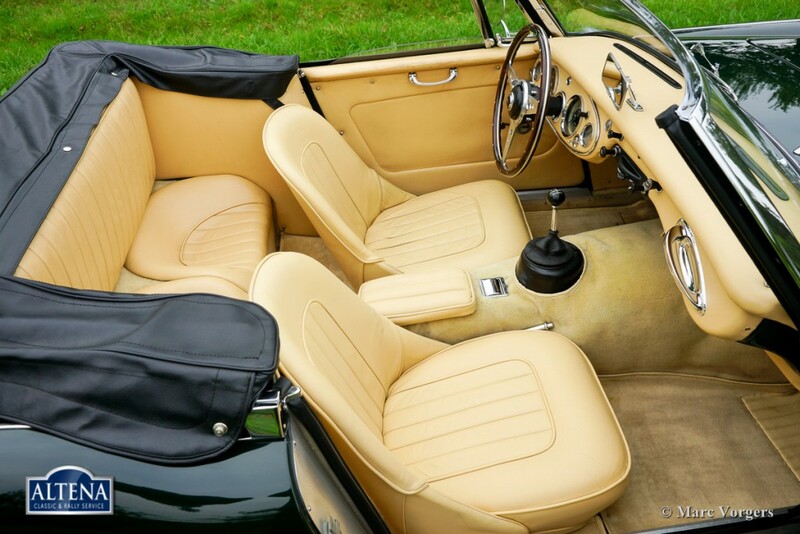 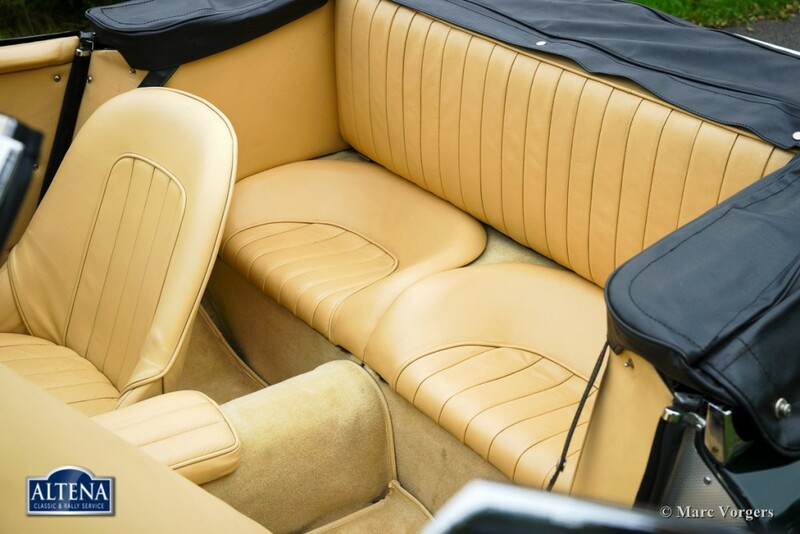 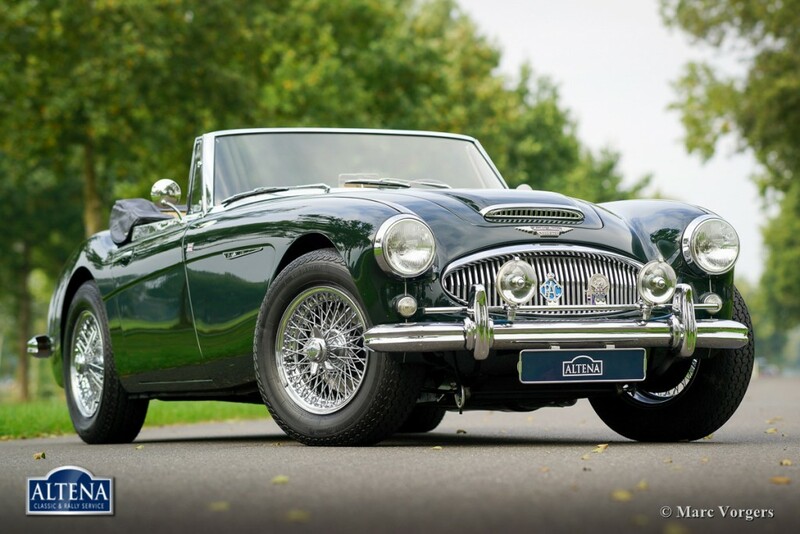 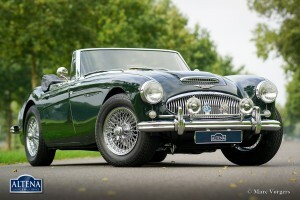 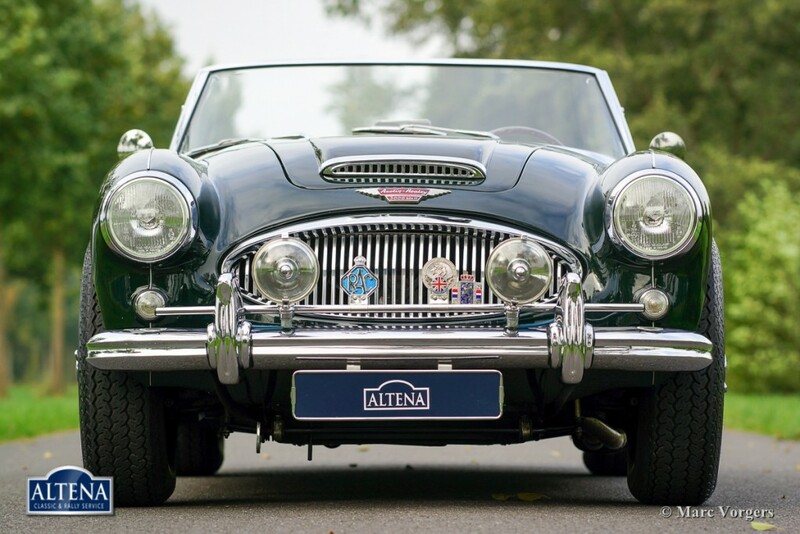 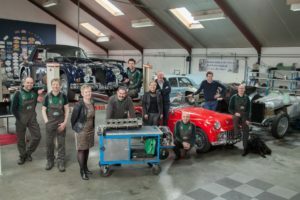 The Mk II ‘convertible’ is one of the most sought after Healey models. 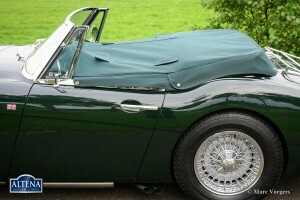 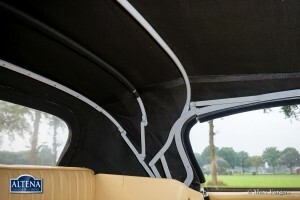 It features roll-up windows and an easy to operate convertible top like the later Mk III models. 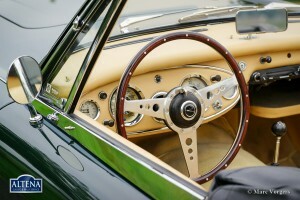 This combined with the beautiful classic dashboard of the earlier models. 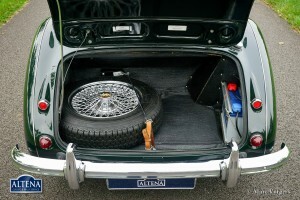 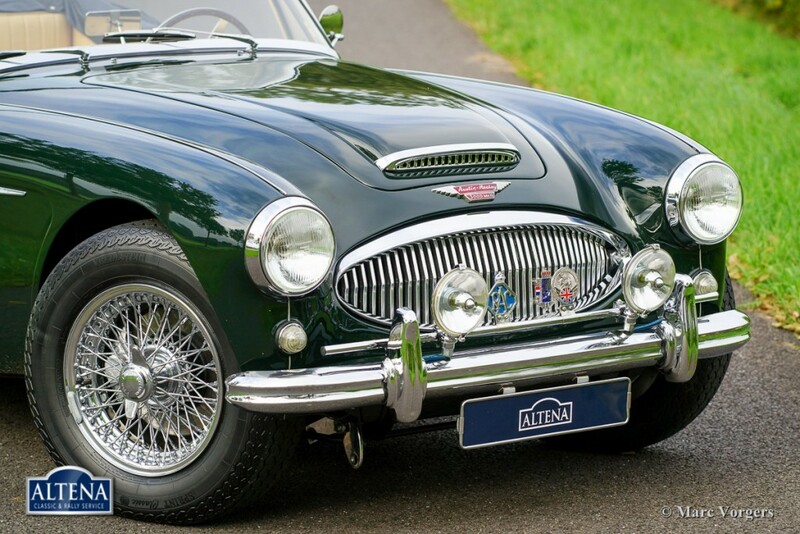 This fine Austin Healey features chrome wire wheels, sports air-filtres, a wood rimmed MotoLita steering wheel, chrome badge bar, additional spot lamps at front and a chrome luggage rack.